Hamilton County Department of Engineer contractors are completing work on the Winton Road bridge from March 25–August 3, 2019. The sections of the Harbor Trail and Horse Trail that pass beneath the bridge will both be closed to all users during the entire project. 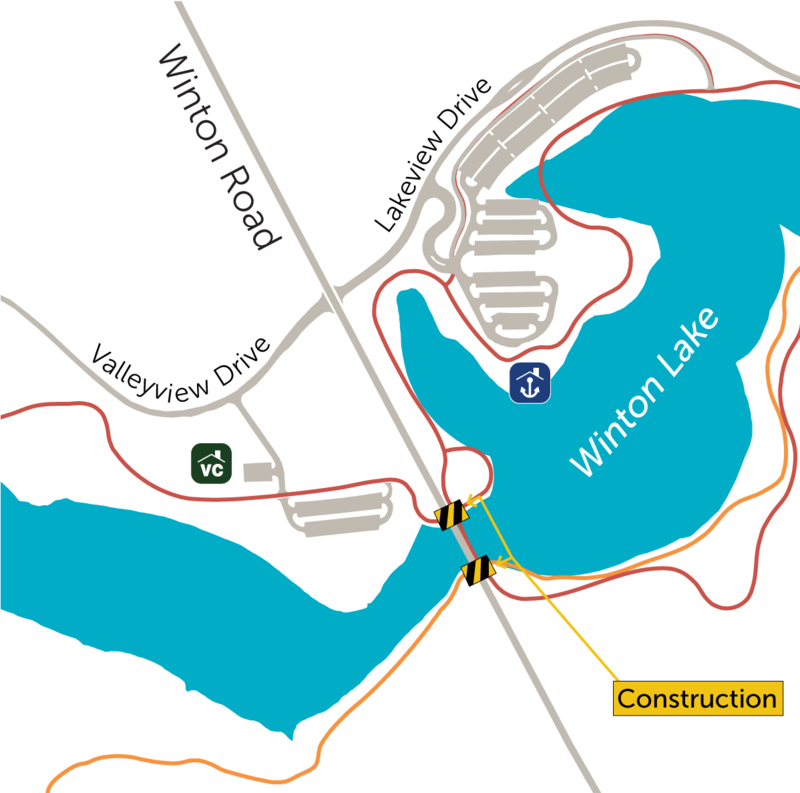 The section of the Harbor Trail that runs along the bridge on Winton Road will be closed only during Phase I of the project, from March 25–April 25, 2019.